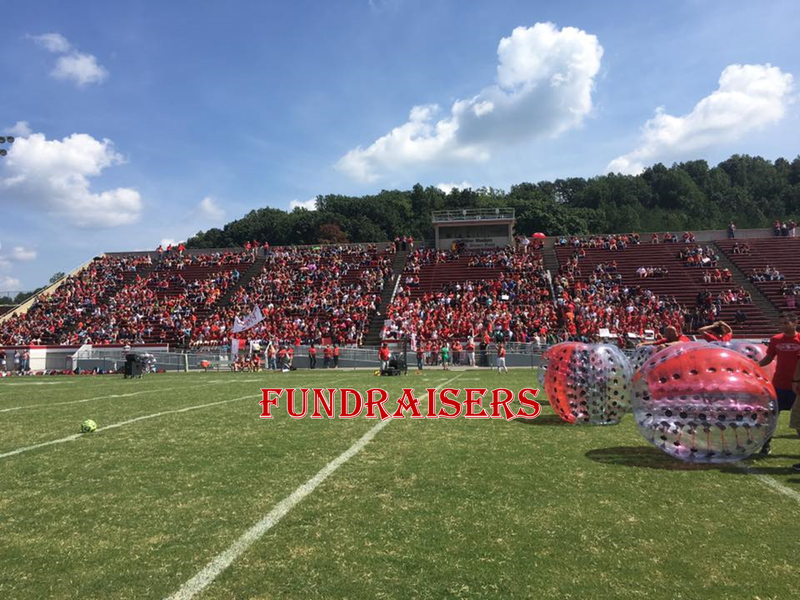 Looking for a Fun & New Way to Raise Money? We will come out to your event with all the equipment and Referees/Staff needed, all you have to do is ensure that people show up. We can typically get about 60 people in a game every hour (10 balls/players at a time), depending on how much you would like to charge participants to play, this could translate to $300-$600 in one hour. Have more than 60 people? Add more hours & knockerballs! Draw a crowd & get people excited about your upcoming Event, Fair, or Festival. Once people see knockerball in action they have to try it! We can set up for a few hours, half-day or full day. 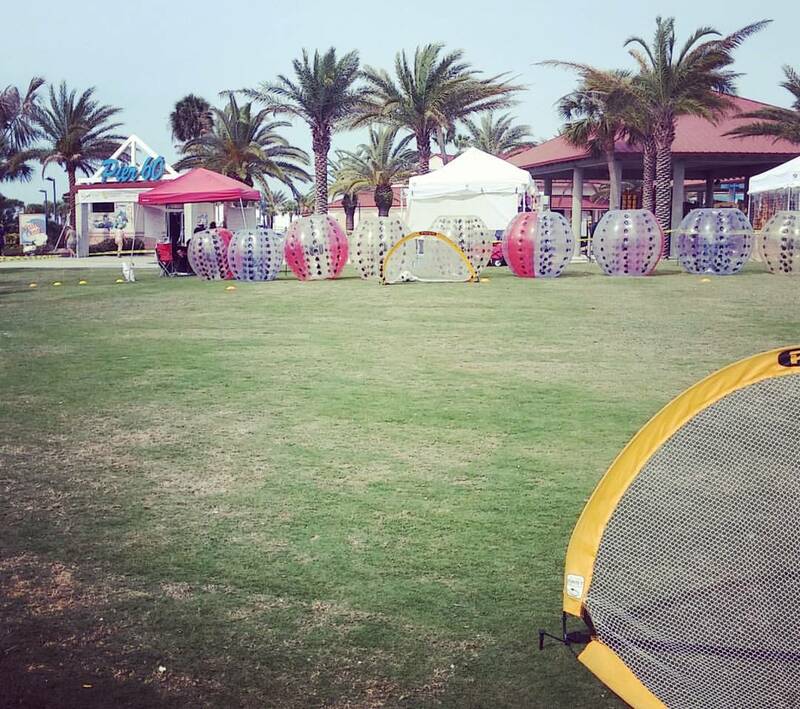 We'll bring everything needed to play knockerball, set up, & run the games. All you have to do is set the date & time. 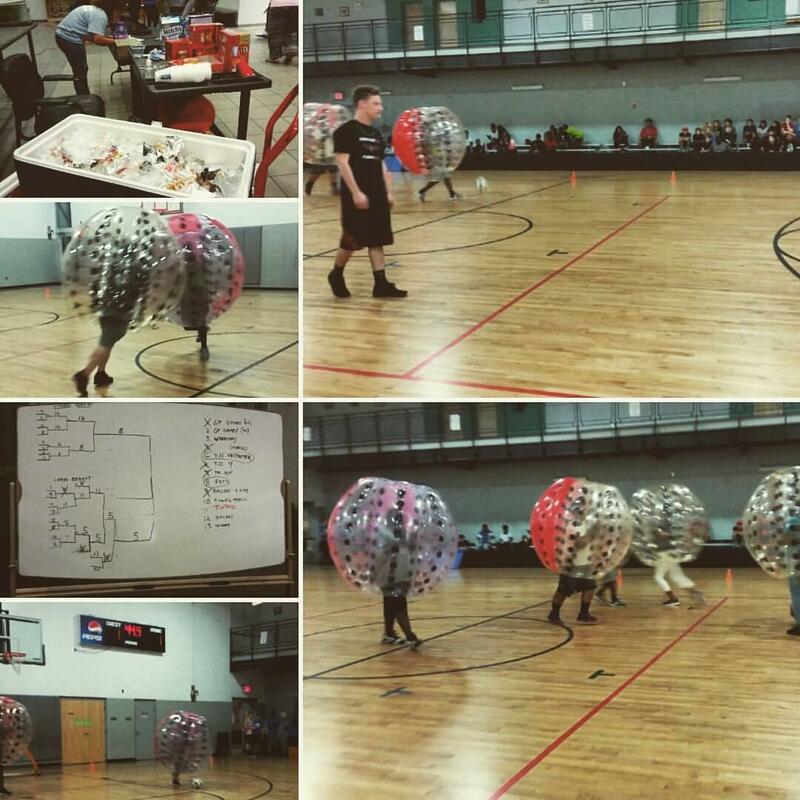 TIP: Knockerball is a great way to get people excited about attending an event. Have other activities as well. Make T-shirts. Have a concession stand to sell food & water at your event and make extra $$. Presell Tickets. $5 for 5 minutes to get in the balls & play. We'll Split the Profits with you. Tournament style with a winners bracket. Make it a competition with teams. With Knockerball as Entertainment Activity. Buy a Knockerball Gift Certificate for your silent auction. Pay our flat fees & we'll run the games. What you charge and how you structure the games and fees are up to you. Any profits are yours to keep, or make it a FREE event for everyone. Although we would love to be able to do fundraisers for free, we have to be able to cover overhead maintenance costs. 60 people can play in an hour on average with 10 balls.